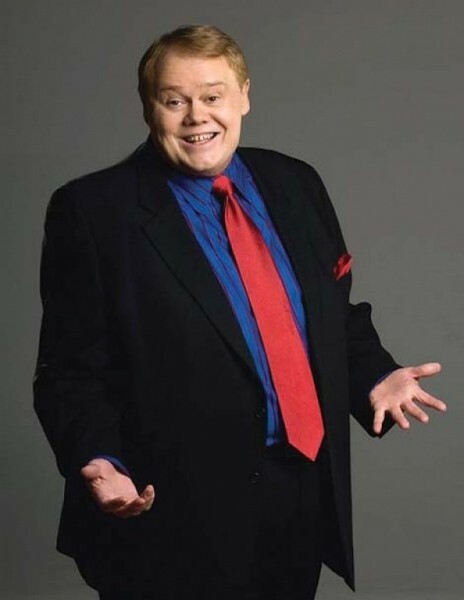 Comedian Louie Anderson, the second youngest of 11 children, grew up in Milwaukee. Much of his best material, understandably, focuses on growing up in a house packed with people, struggling to make ends meet, and the general frustrations of the working class. Anderson’s life-changing moment came in 1981, when he won first place in a regional comedy competition hosted by the legendary Henny Youngman. Youngman was so impressed with Anderson that he immediately hired him as a writer. Three years later, he had his national television debut on The Tonight Show with Johnny Carson. He quickly became a surprisingly versatile performer, including hosting Family Feud and winning two Emmys for his Saturday-morning cartoon Life With Louie. During all these other ventures, he recorded four comedy specials, wrote three books and received a long-term contract to star in his own show in Las Vegas, which still runs at Palace Station in the theater named after him. All of Anderson’s achievements in comedy and entertainment have allowed him to devote serious energy and money to causes he holds dear, such as homelessness and the treatment of animals. Despite his success, Anderson stays loyal to his stand-up audiences. Some of his favorite moments come after a show, when he’s mingling with fans and someone comes up and quietly mentions that they, too, ate government cheese as a kid and scrounged random furniture from the dump. For Anderson, it’s a nice reminder that what he says resonates with people, and they still connect with him after all these years.